It’s never easy to hear that the price of a product or service that you’ve come to rely on is going up dramatically. But this is the environment we find ourselves in when it comes to health care. Since the Affordable Care Act (ACA) marketplace opened for business, we’ve found that our ACA customers’ health care costs are much higher than what we had expected. As a result, BCBSNC has filed for rates to go up by an average of 25.7 percent in 2016. This filing is for individual customers under age 65 with ACA plans. It’s important to know that when we made this request, we only had 2015 data from January through March, when ACA open enrollment was still in progress. Since we filed our 2016 rates, we have seen more recent claims and enrollment data, and the news is not good. 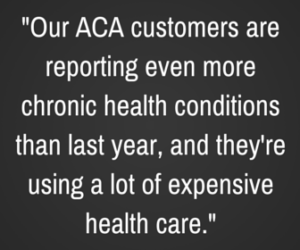 Our ACA customers are reporting even more chronic health conditions than last year, and they’re using a lot of expensive health care. Based on this, we may need to adjust our filing to reflect a higher increase in order to cover these costs. The N.C. Department of Insurance and the federal Centers for Medicare and Medicaid Services (CMS) are expected to rule on our rate filing this summer, so we won’t know what the final number will be for a while yet. We certainly realize how big an increase this is and the effect it will have on customers who depend on us for ACA coverage. It’s worth going through the numbers and assumptions that are behind this increase, which I will attempt to do here. You may want to also review our press release for more information. Also, remember that individual premiums will vary by the type of product you choose, your age, your geographic location in North Carolina, and whether or not you smoke. The 25.7 percent filed increase simply represents an average. As an example, a 40-year-old in Raleigh on a Blue Value “Silver” plan currently pays a monthly premium of about $315. That same plan for a 40-year-old next year would be about $391. Some of that premium might be offset by a federal subsidy if the customer is eligible. The biggest reason for the increase is that our customer base for ACA plans is in poorer health, and is using more health services, than what we had projected. This is true for insurers across the nation. This column in The Charlotte Observer points out that the insurance pool of ACA customers is by and large older and sicker than projected, and that in some states the requested rate increases are more than 30 percent and even as high as 51 percent. Last year at this time, when we were preparing our rates for 2015, we had very little experience to go on with respect to ACA business. Now, after seeing the trends throughout 2014 and the first part of 2015, we’re better able to determine how our customers are using their health insurance benefits. We expect the experience could still change. In our business, a company typically needs two to three years of experience on a stable block of business to price accurately. In a sense, we have to play catch-up. In 2014 we lost $60.4 million on our ACA business (individual customers under age 65) after accounting for operating expenses, fees and taxes. That means that next year, we have to make sure premiums are set at levels that account for these high medical costs. Another reason for the 2016 rate increase is the reduction in government payments to insurers doing ACA business. 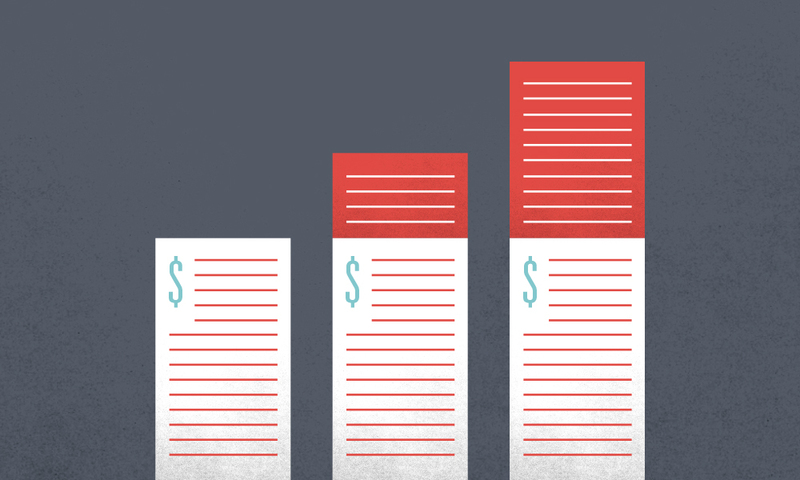 Under the ACA, the federal government pays a portion of the losses that exceed certain levels. The government is reducing total funding for this “reinsurance” program nationally from $6 billion this year to $4 billion in 2016. Like other insurers, we must account for a reduction in our share of these funds. At this point you might be asking whether BCBSNC is doing all it can to keep ACA premiums as affordable as possible. One thing to consider is how much of our premium revenues go to actually providing medical services for our customers. 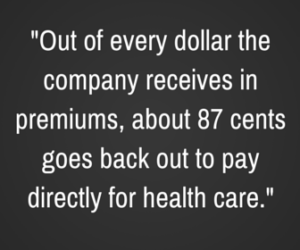 Out of every dollar the company receives in premiums, about 87 cents goes back out to pay directly for health care. The remainder goes to our operations, taxes, fees and any remaining profit. The ACA requires insurers to pay at least 80 percent of premium revenues for health care, so we are well above this threshold. As the rest of 2015 unfolds, we’ll begin to get an even better picture of these medical trends and see if our rates are enough to cover our expenses. Until then, we will continue to work hard to address rising medical costs and offer good choices to customers as they determine how to get the best value out of their health care dollars.